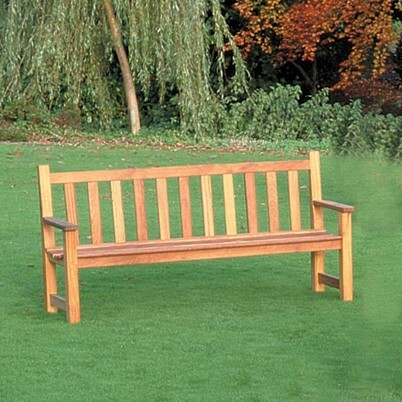 Attractive craftsmen-made hardwood seats ideal for parks and clubs. These strong seats are made from durable Iroka with an oiled finish. This model has straight arm rests. Length is 1.52m. A 2m version is also available, as well as other styles.